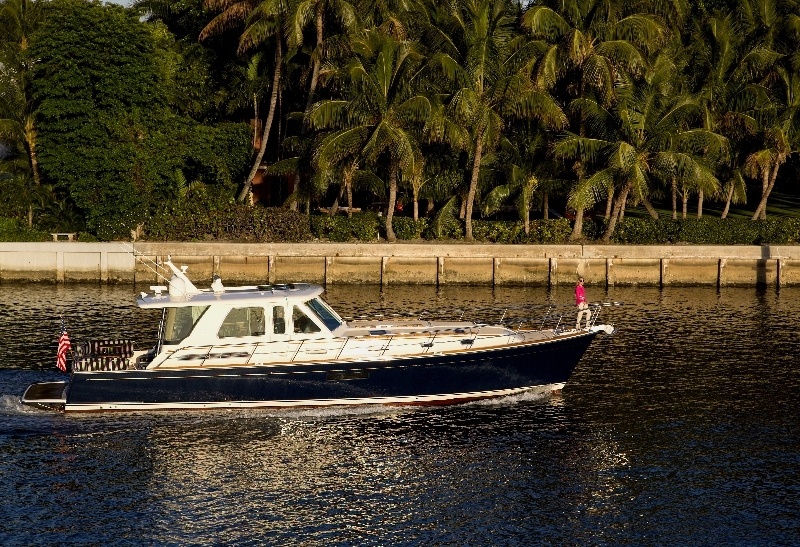 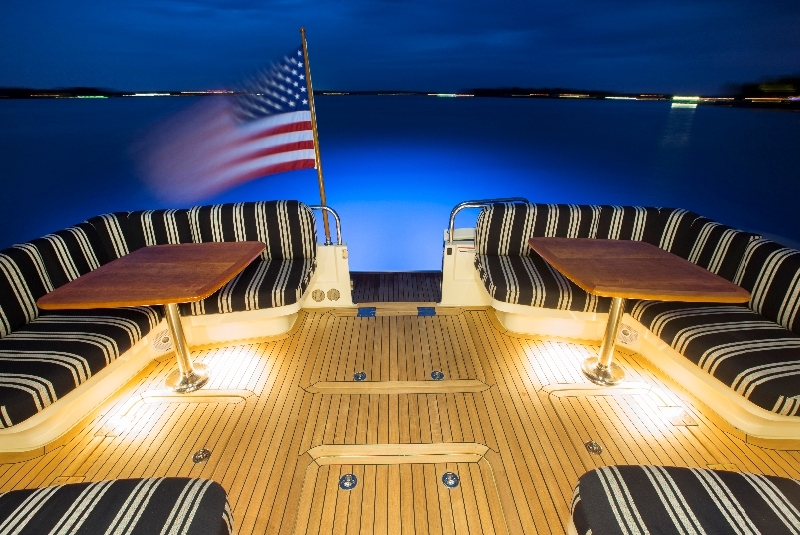 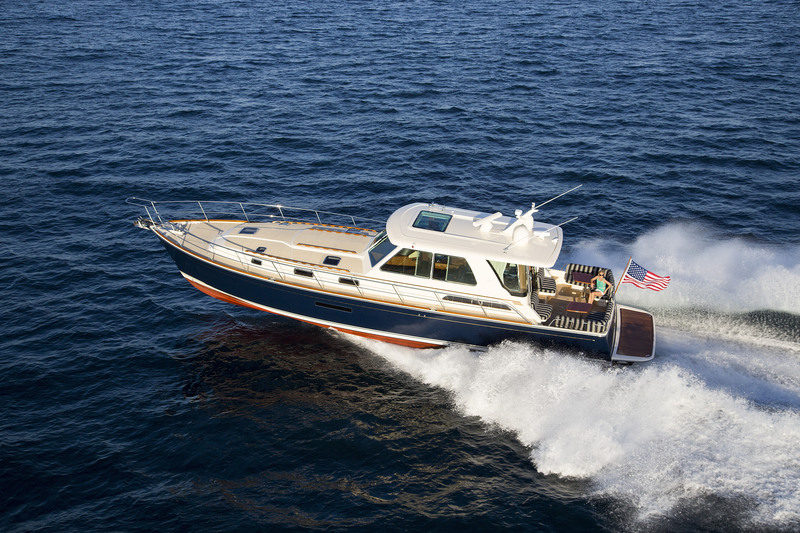 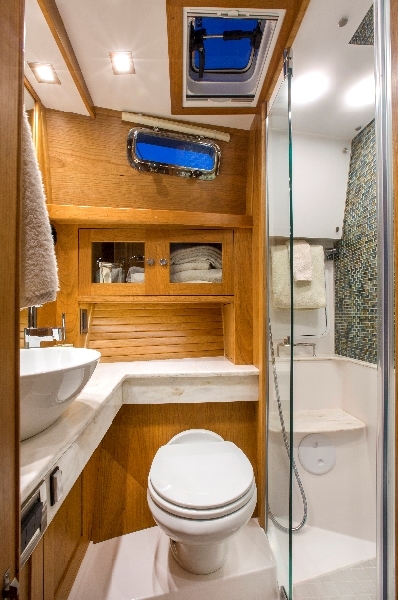 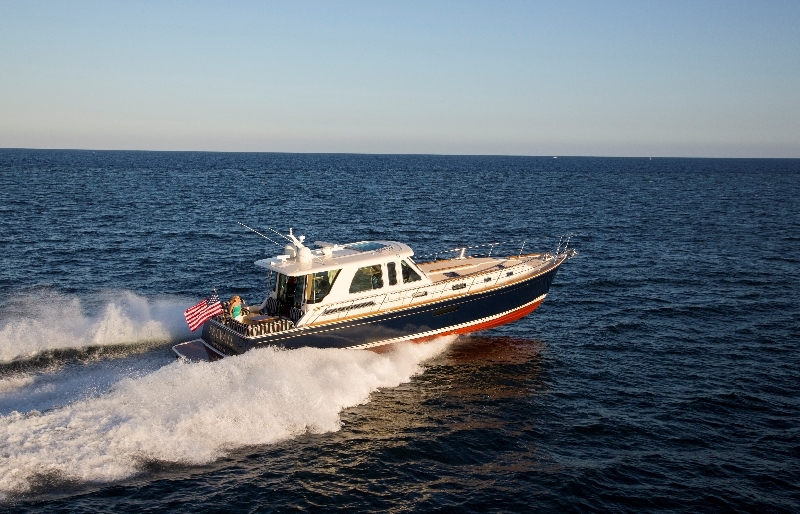 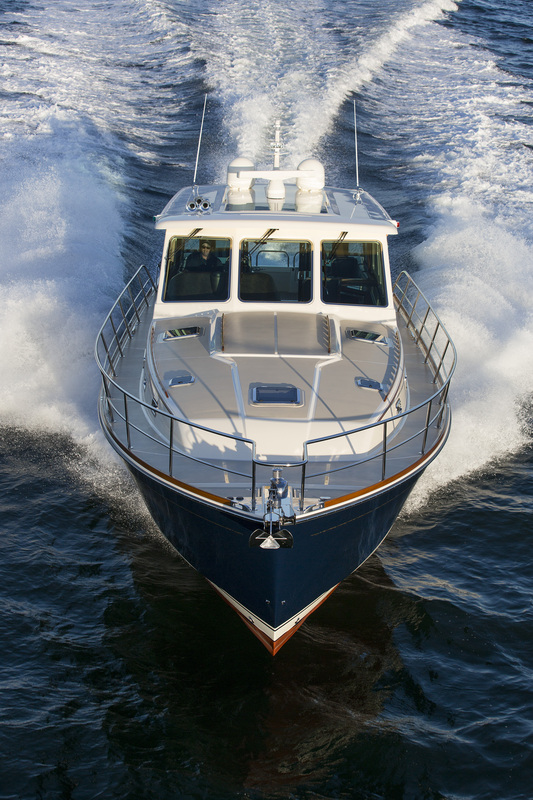 The Sabre 54 Salon Express: Crafted in the Maine Boat Building Tradition. 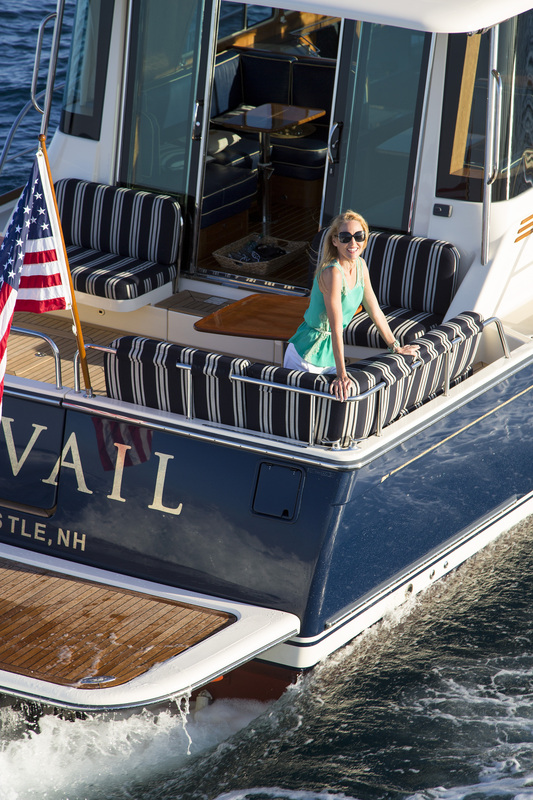 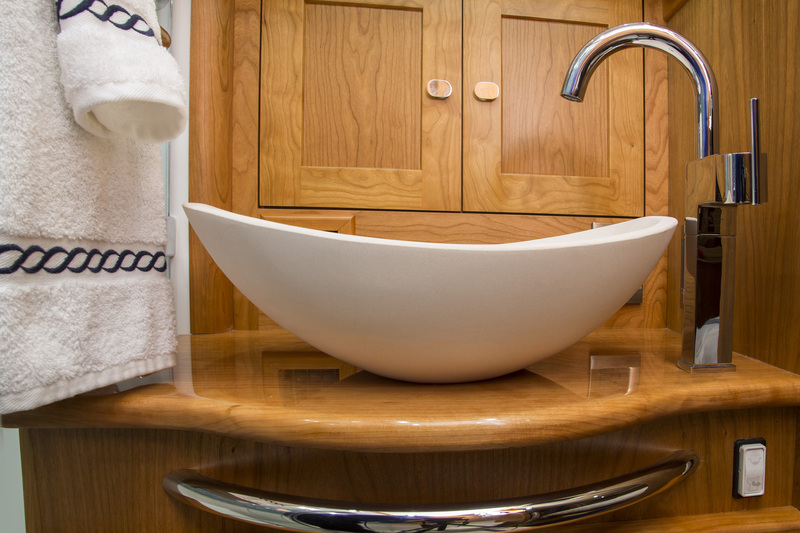 All aspects and details of this magnificent yacht are executed with boat building skills passed down by generations of Maine craftsmen and women. 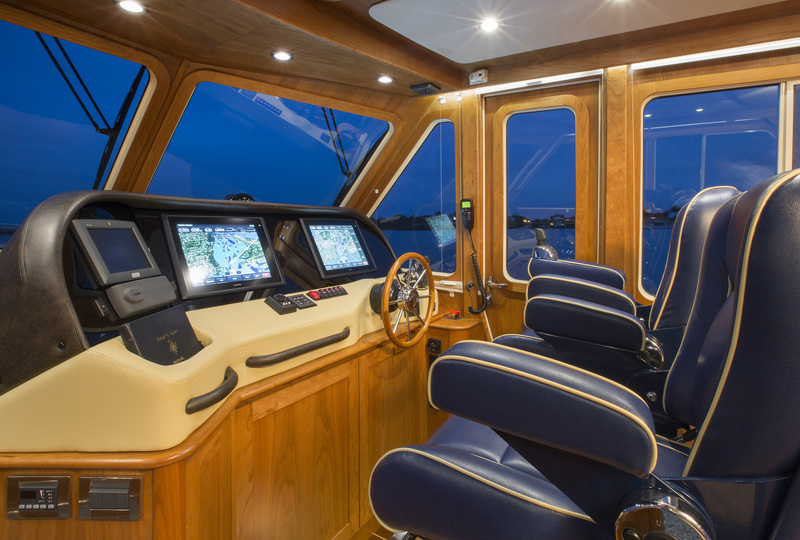 In addition to her luxurious accommodations and iconic Sabre woodworking, the 54 Salon Express will cruise comfortably in the mid-twenty knot range with incredibly low sound levels at the helm. 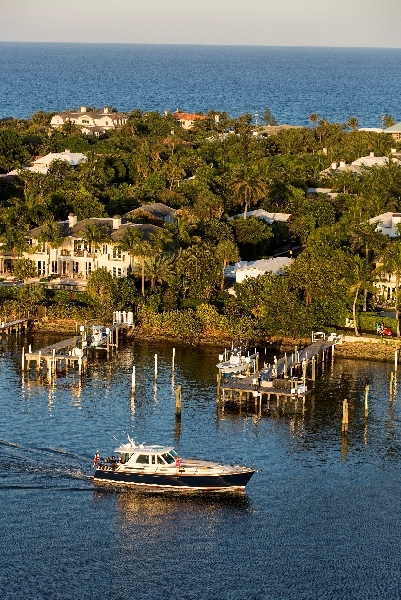 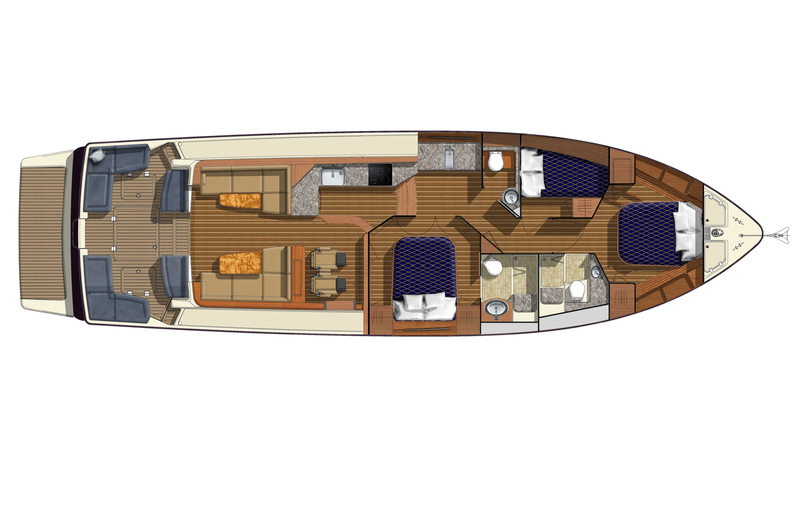 Her nautically sensible design and expert craftsmanship result in a yacht that is a natural fit for experienced boaters. 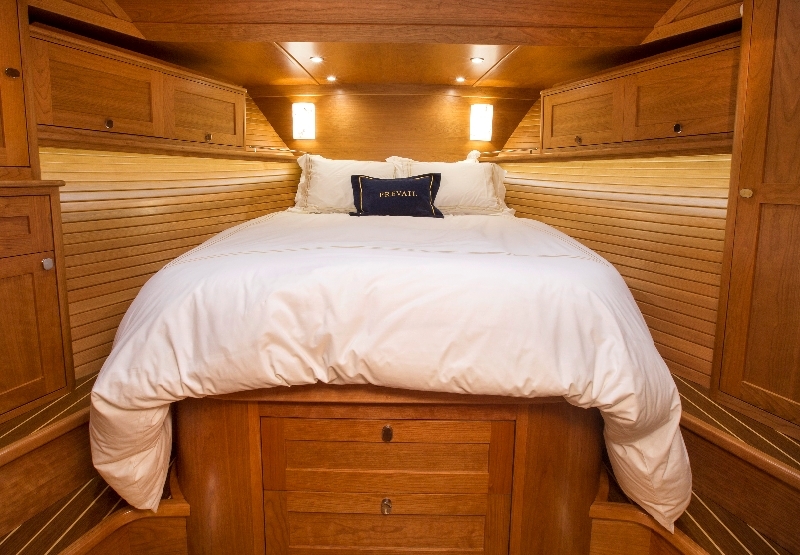 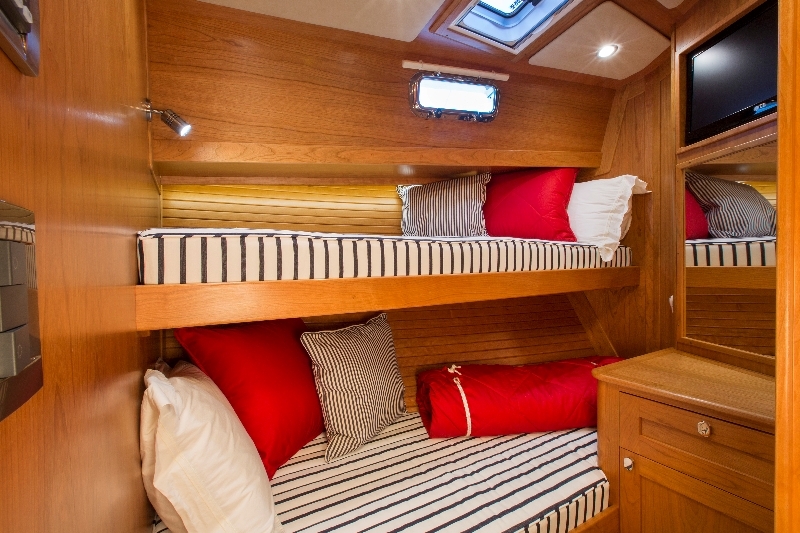 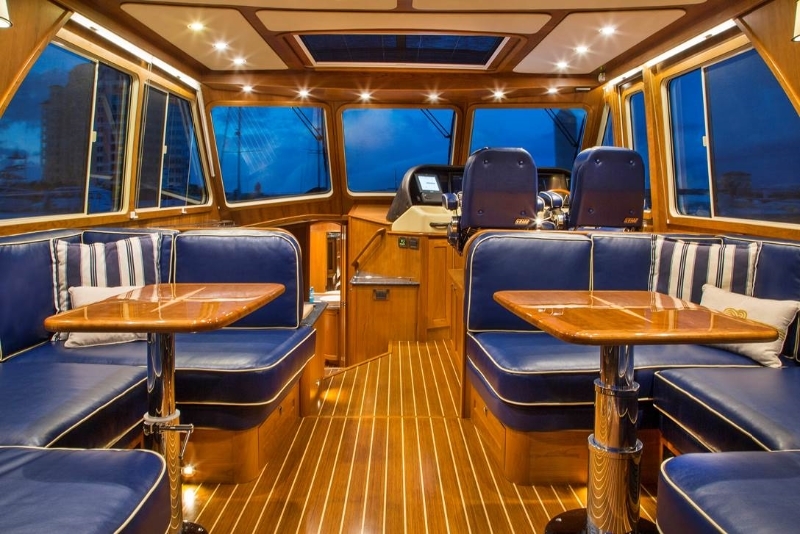 The interior accommodations aboard the Sabre 54 Salon Express are sophisticated and welcoming, offering three berths, two heads, a half-up galley, and a spacious salon. 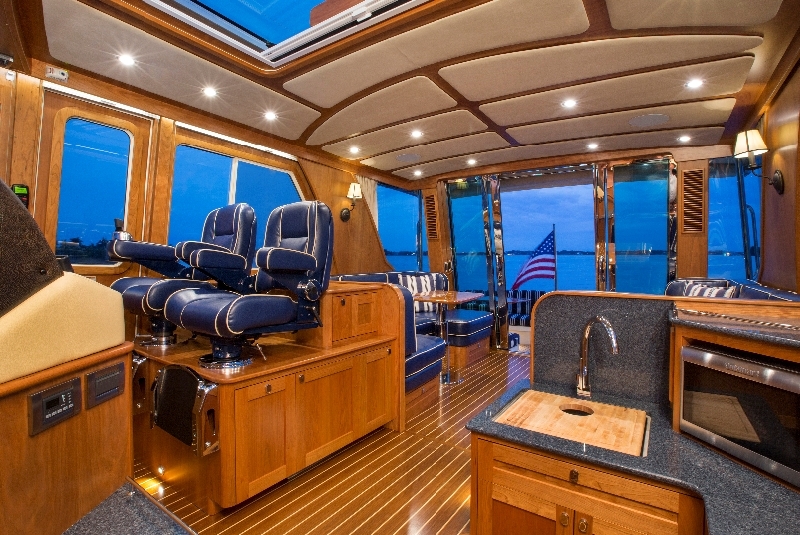 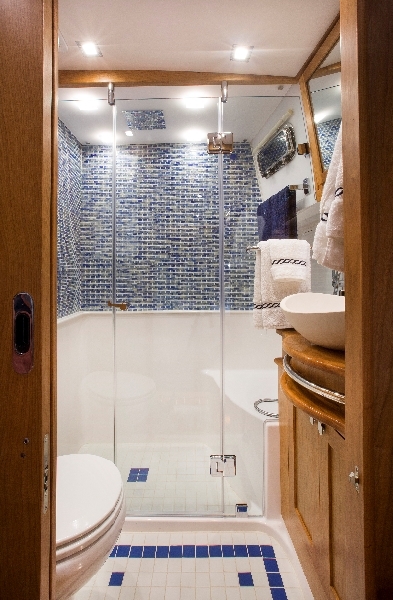 The 54 Salon Express provides everything necessary for hosting guests and for spending extended time aboard. 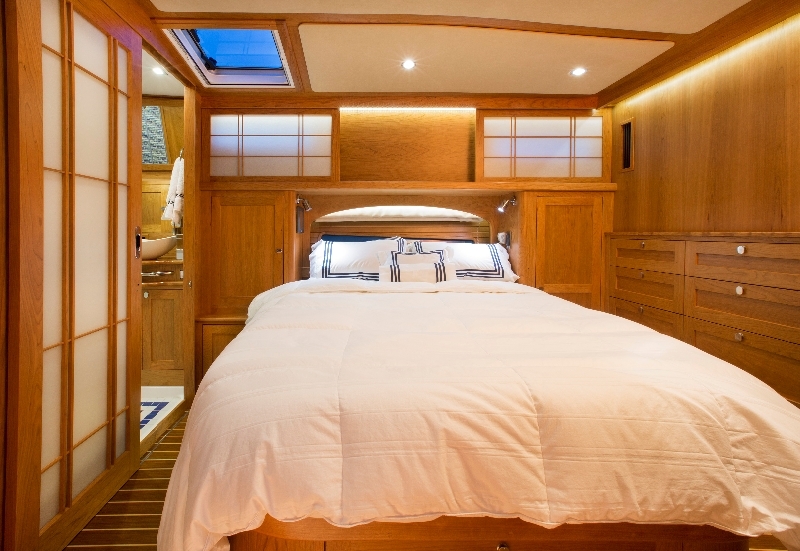 Beautiful woodworking, pleasing proportions, and elegant details such as maple inlays and Shoji screens in the owner’s cabin doors, create a unique atmosphere of luxury, warmth, and energy.